Modern classrooms are moving away from a lecture-based, teacher-led instructional model and moving toward teaching methods that incorporate active learning. Active learning has been defined as “anything that involves students in doing things and thinking about the things they are doing” (Bonwell and Eison, 1991). It is an approach to teaching that engages students in meaningful learning activities and interactions that activate higher levels of thinking. Learning environments that promote active learning also promote inclusivity, as they encourage all students to feel welcome. Think/Pair/Share: In this teaching strategy, instructors ask students to think about their response to a question or prompt, then pair up with a classmate and disclose what they were thinking. The instructor then asks students to share their thoughts with the entire class. Jigsaw: In this teaching strategy, students work in small groups. Each member of the group is given a section of a larger project that they research and then share with their group. The group then works together to understand how each part relates. Gallery Walk: In this teaching strategy, students walk around the room and view posters their classmates have worked on or content the instructor has placed around the room. Students answer questions about the displayed content. Muddiest Point: In this teaching strategy, the instructor asks students to identify what was least clear to them from the class session. Students then hand in their muddiest point as they leave class. Cords or power sources should be strategically placed in furniture and around the room so as not to cause trip hazards. Look for furniture on casters and stackable chairs, which will allow them to be moved to accommodate differing daily needs. 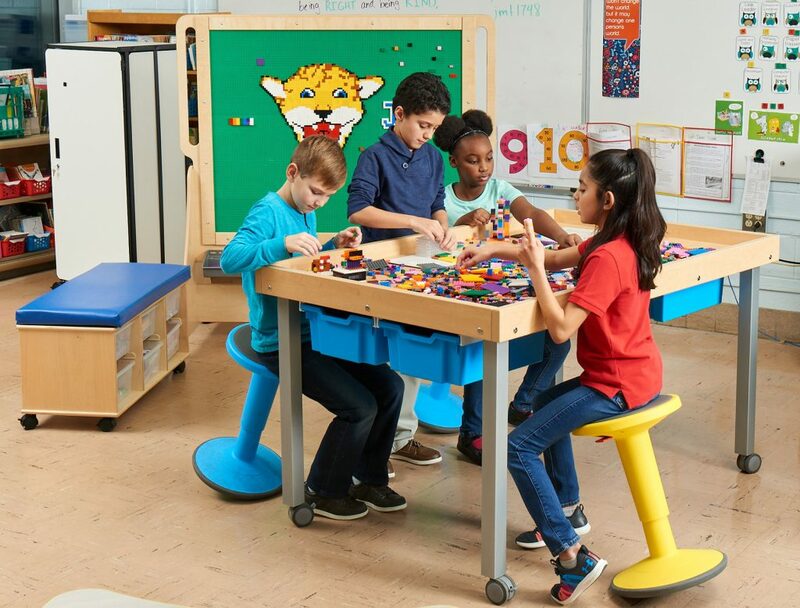 Modular furniture can be mixed and matched to allow for various learning environments. Look for easily movable furniture or furniture on wheels, such as Muzo Kite® Tables, which fit together to form larger tables, but can also be folded, nested, and rolled aside when an open space is needed. Offer a variety of seating choices, including active seating, lounge seating, and powered furniture. You know you want to update your learning environment, but you’re not sure how to get started. Request a consultation with Demco’s interior services experts to help you find the right solutions that will maximize not only the space, but also the learning that happens there. Tables that can be reconfigured for collaboration, no matter what size the group, will foster better group dynamics. Whiteboard tables allow for spontaneous collaboration and ideation during group work. Individual study space that includes whiteboards or whiteboard tables can be converted into small-group space. Technology: In the 21st century a lot of collaboration occurs virtually. The right tools can facilitate collaboration and prepare students to be career-ready. Include a space where students can record themselves with media production equipment. Have a presentation space for individuals or groups to practice. This can be accomplished by outfitting the space with tables and chairs that can easily be moved out of the way when the space is needed for larger presentations. Collaborative media tables allow students to share and present their work. A space that is ergonomically configured for using laptops or tablets will encourage students to stay and work in the library or classroom. 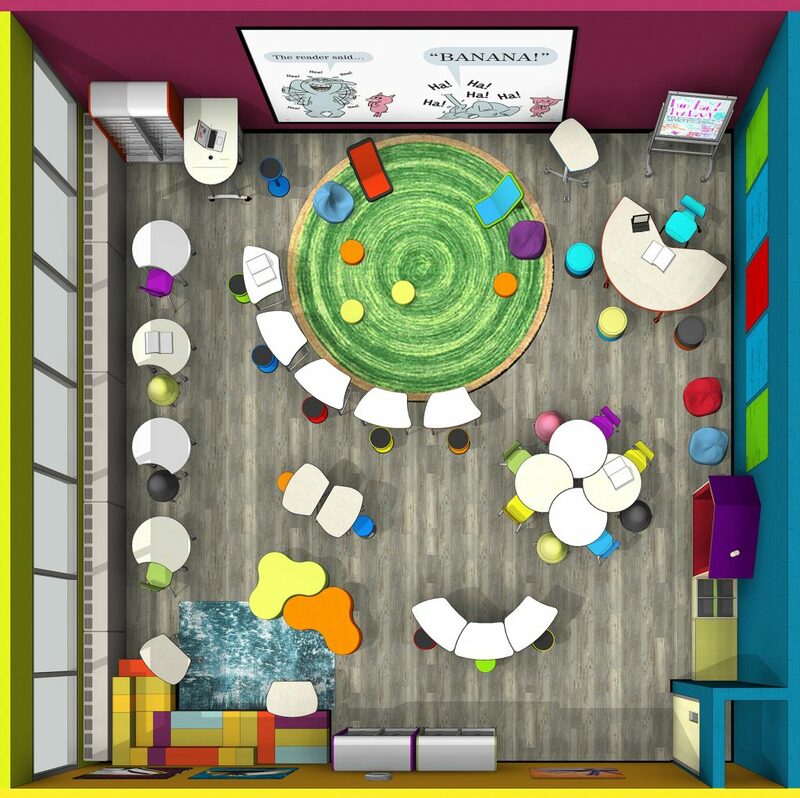 Planning for active learning through space considerations is necessary for success. Without considering space requirements, your active learning environment may not be so active. Bonwell, C. C., & Eison, J. A. (1991). Active learning: Creating excitement in the classroom (ASHE–ERIC Higher Education Rep. No. 1). Washington, DC: The George Washington University, School of Education and Human Development. Dr. Lauren Hays is the Instructional and Research Librarian at MidAmerica Nazarene University in Olathe, KS, where she teaches, leads information literacy initiatives and sits on the Faculty Development Committee. Currently, Dr. Hays is co-editing a book on the Scholarship of Teaching and Learning (SoTL) for academic librarians. Her professional interests include teaching, SoTL, information literacy, educational technology, Library and Information Science education, teacher identity and faculty development. On a personal note, she is passionate about dogs, traveling and home.